Indian Railways, the largest public transporter in the world, is said to be testing chatbots which will be used to reply to passengers’ queries and improve customers’ experience. The possibility of the use of chatbots was shared at a railway conference centered around artificial intelligence. As per an IANS report, a high-level committee has been formed to take the initiative forward. It also talks about the involvement of a software giant – either Microsoft or Oracle – that will partner with the government for deploying these artificially intelligent chatbots. 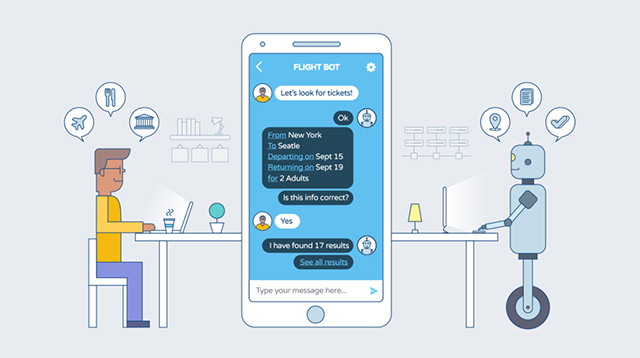 A chatbot can be any software that engages in human-like conversation by the use of pre-fed words and phrases or through the use of artificial intelligence. In this case, it is clear that the Indian Railways is looking at AI as a way to modernize customer care. Currently, railway inquiries are currently handled by a combination of IVRS and human agents. Alternatively, for the live status of running trains, passengers can use the National Train Enquiry System (NTES) via the web or their Android or iOS smartphones but that is also manual. As per the discussions during the conference, these chatbots would automate the handling of queries related train schedules, train berth availability, and available trains between two stations. A senior Indian Railways official said that the chatbots will be seen in smartphone apps, the NTES website, or for voice and SMS-based queries. He added that AI will be a vital part of the application as the technology is now becoming “ubiquitous“. The Indian government has also pinned its hope on artificial intelligence and announced the doubling of the budget allocation for Digital India initiative in sight of booming technologies like AI, robotics, and big data. While deploying chatbots in place of humans for answering queries will result in job cuts, it will also open up new skill development opportunities which will help create a workforce that is ready for the future.